Football Love Trivet, Coaster In The Hoop - 3 Sizes! This Football Love Trivet includes 3 sizes which will make perfect coasters, mug mats and trivets. Instructions are included. Football Sunday Centerpiece, 4x4 - Includes Sewing Pattern! This design is also available in a larger set. 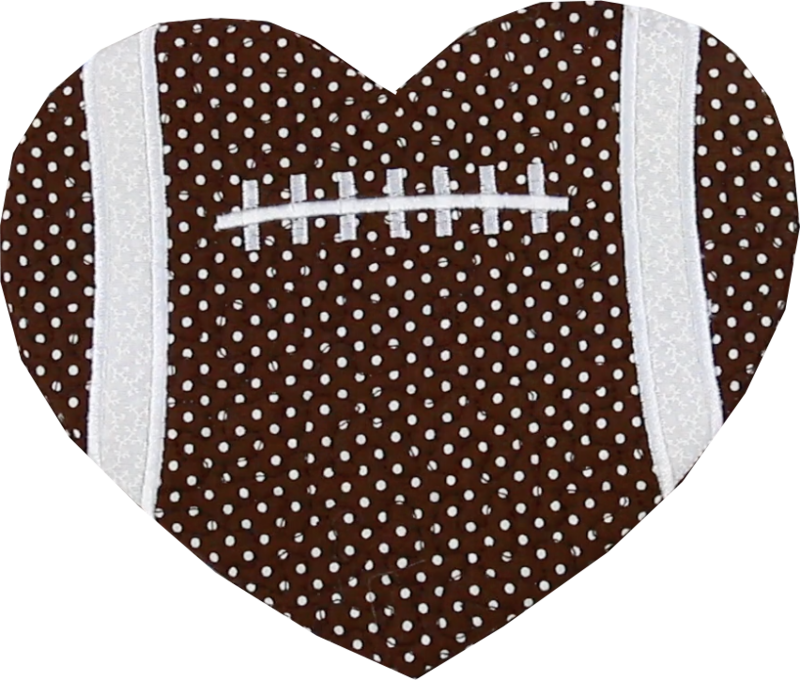 Just click on the "Football Love Trivet and Applique" link in the "You might also like" section for more information.